is working towards her dreams with a brand-new liver to replace the one that failed due to autoimmune hepatitis. 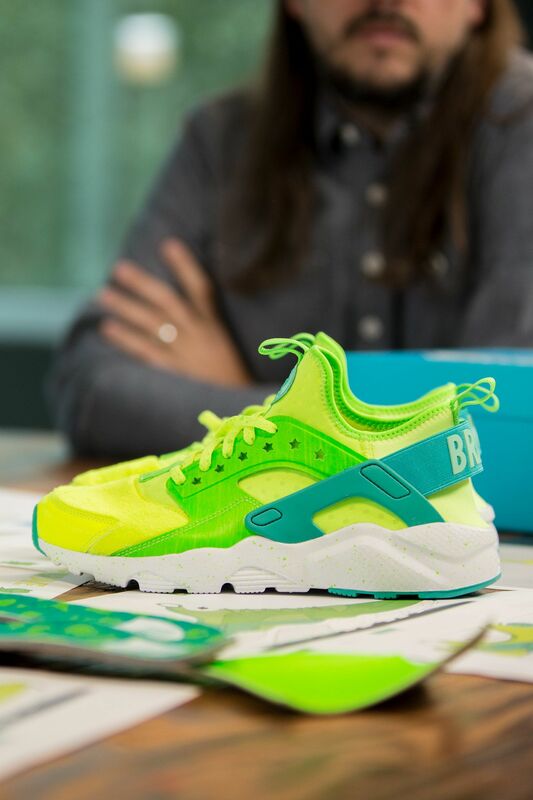 Her colorful personality is well represented on her Air Huarache Run Ultra, which pays homage to another talented performer, Kermit the Frog. “Of all the Muppet characters, he’s my favorite,” Braylin explains. 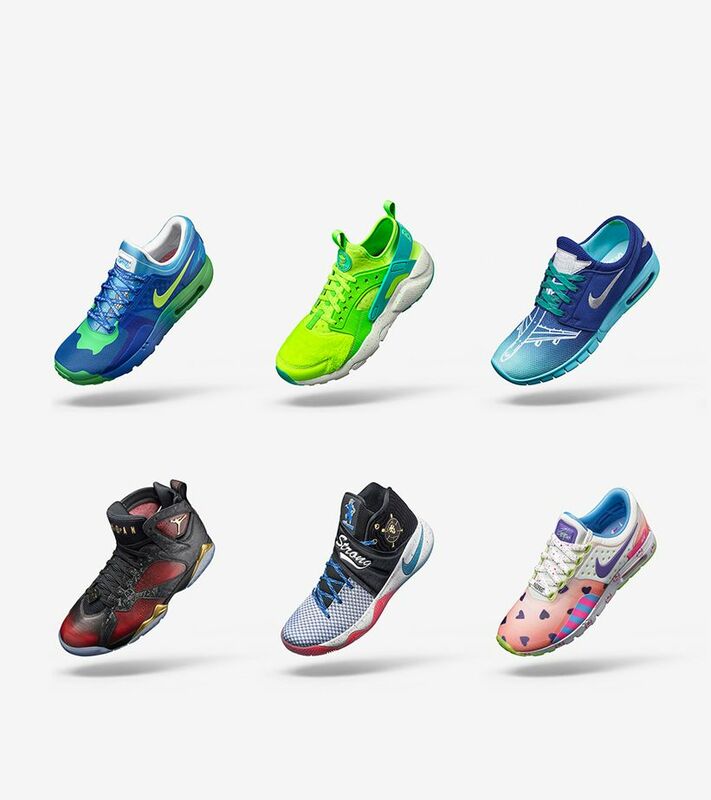 “He’s entertaining and funny, but I also like that he’s a really nice guy.” Braylin's Nike design and development team certainly agrees, and they worked to make sure all of her favorite things take center stage in her collection. 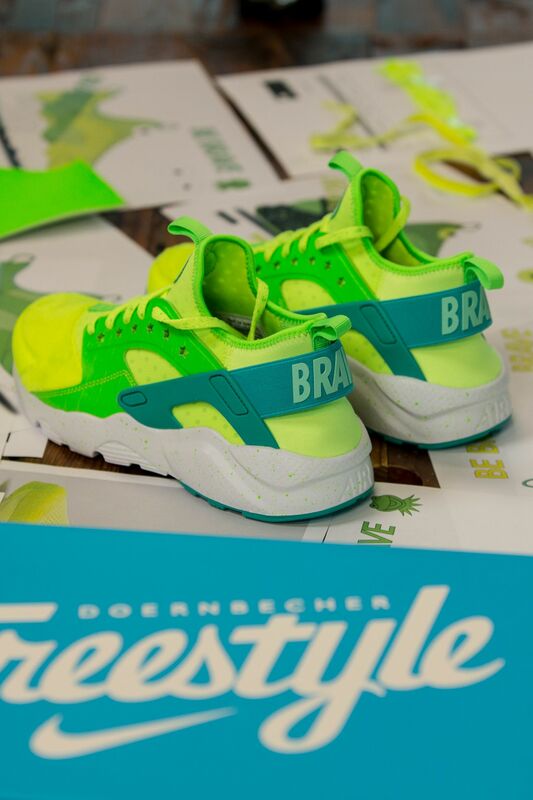 “The Air Huarache is Braylin's favorite shoe – she has a pretty worn out pair of Huaraches that her parents are excited to replace," reveals Footwear Developer Casey Pierson. 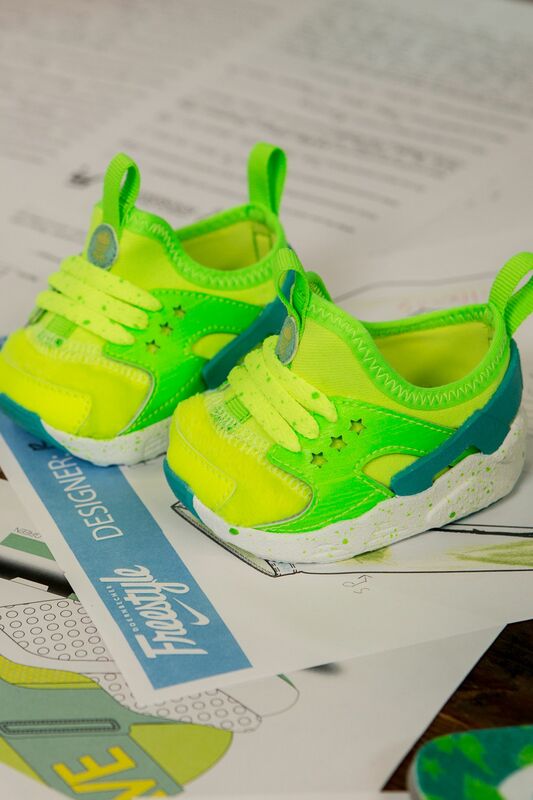 Materials Designer Amy Chiao helped Casey and Art Director Brian Dorst make sure Braylin's many inspirations come to life across the silhouette. 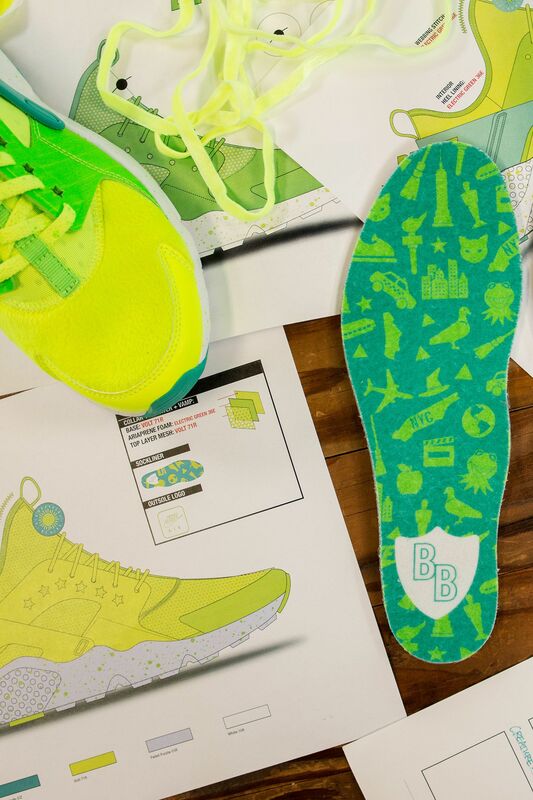 “Her nickname at Doernbecher was ‘Braylin the Brave,’ so we added ‘BB’ branding on the insole, 'BRAVE' on the heel straps and used her name throughout the design," reveals Brian. 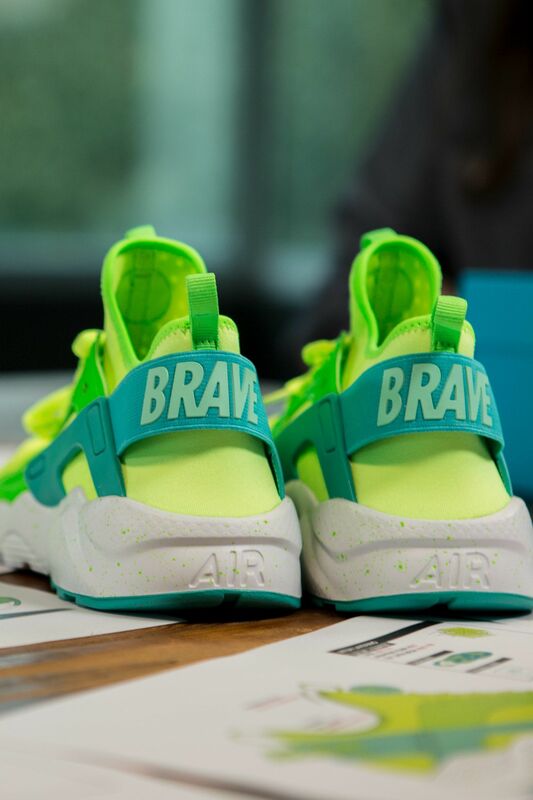 While bravery and bold statements are nothing new to the stage-ready Braylin, the first-of-its-kind furry Air Huarache Ultra is making more than one debut. 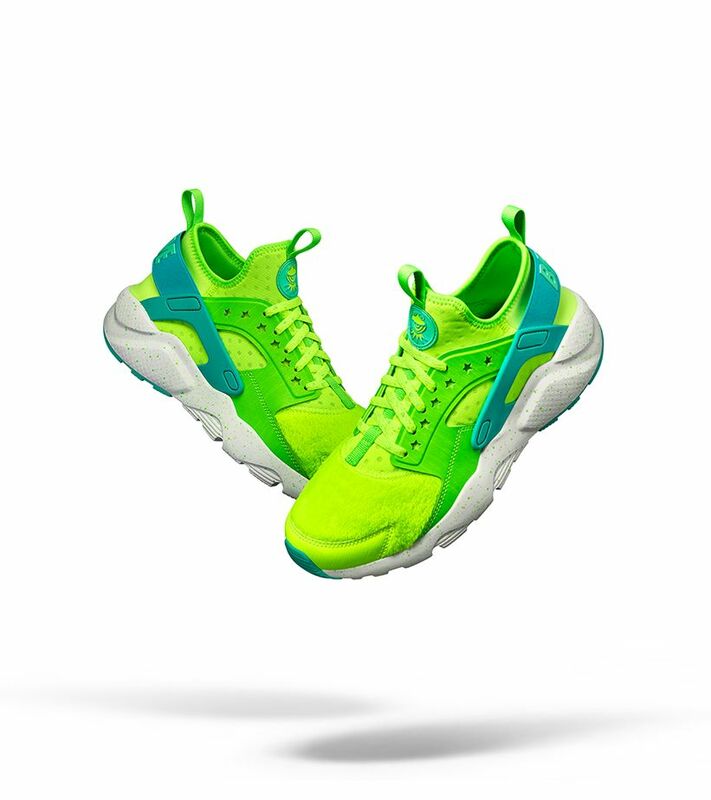 “I thought it would be fun to also make replica shoes for her Kermit doll. Amy was able to get all of the materials and the innovation team brought her Kermit doll in and scanned his feet – they had to make custom lasts for him and they 3D printed all the tooling," says Casey.